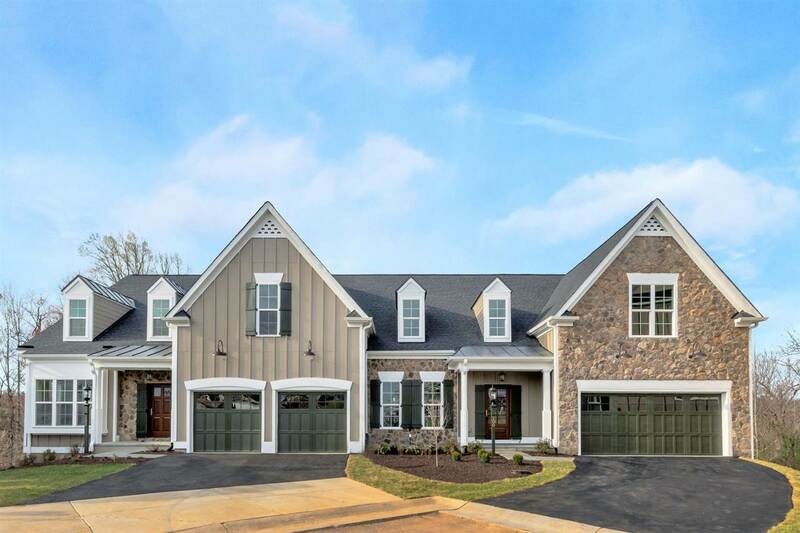 Don\'t miss this unique opportunity to obtain a stately brick townhome featuring fine finish details in \"Kenridge\" where you live in the middle of everything - minutes from UVA, Boars Head and Birdwood, and Farmington Country Club. Only 2 townhome lots remain unsold in \"Kenridge\". Three-level living features an elevator (installed), formal and informal spaces plus generous room sizes and closet space plus a Garage. Gleaming interior bathed in natural light. Tile and cabinetry selections are top notch. Full Kitchen appliance package plus Island. Three-zone HVAC. Duel fuel on 1st & 2nd floors. Heat pump (only) on 3rd floor. Overview of Cannon Properties (Builder), floor plans, interior finishes and allowances plus exterior specs attached. New Construction by Craig Builders in Westlake at Foothill Crossing. The Monterey on Homesite 80 with finished bonus room, unfinished basement, and Trex deck located on a cul de sac. To be built with quality features such as 2x6 exterior walls, custom Mahogany front door, R-19 insulation and 5\'\' plank hardwood floors. Kitchen includes painted maple cabinetry (white, gray, etc), granite countertops (also in owner\'s bath), and much more. You\'ll love the walk in pantry, e-space, dedicated study, spacious mudroom as well as a second floor owner\'s suite with his and hers walk in closets. Some plan customization available. Builder can provide an exact move-in date upfront. All homes are built using HERS tested energy efficient building methods. Wake up to peaceful Mountain Views from one of the many Outdoor Living Spaces in the To Be Built Colton. 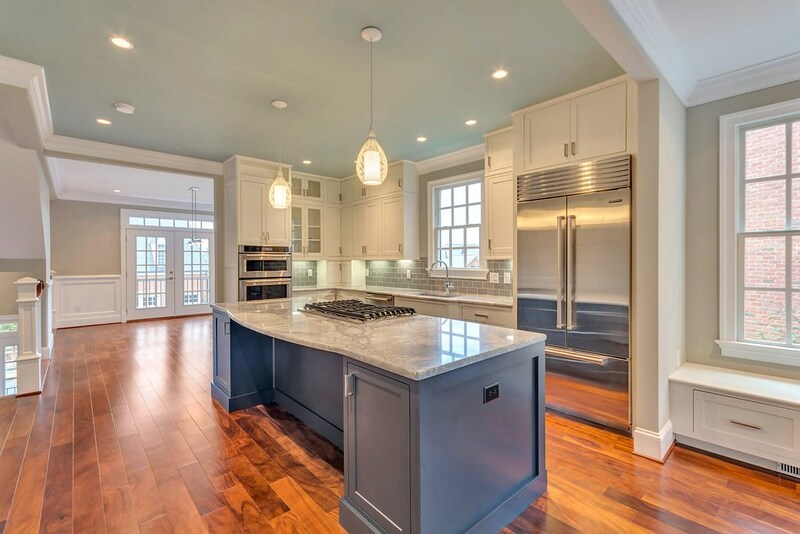 An abundance of Kitchen cabinets with huge Center Island and Gourmet Appliances allow for effortless entertaining. Enjoy reading in the enviable Owner\'s Suite Sitting Rm or nestled in the Family Room near the 2-sided Gas Fireplace. Living in Whittington offers the best of both worlds - Tranquility in a country-like setting with the ease of being only minutes away from everyday conveniences. 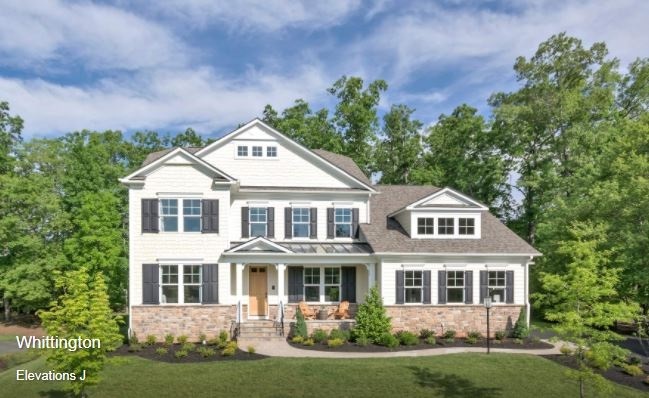 Only THREE 1/2 acre and FOUR 3/4 acre homesites remain Oak Hill Farm, where you can enjoy Mountain Views with Wooded Seclusion just minutes from Downtown, UVA Medical Center, Martha Jeff, I-64 & Wegman\'s. 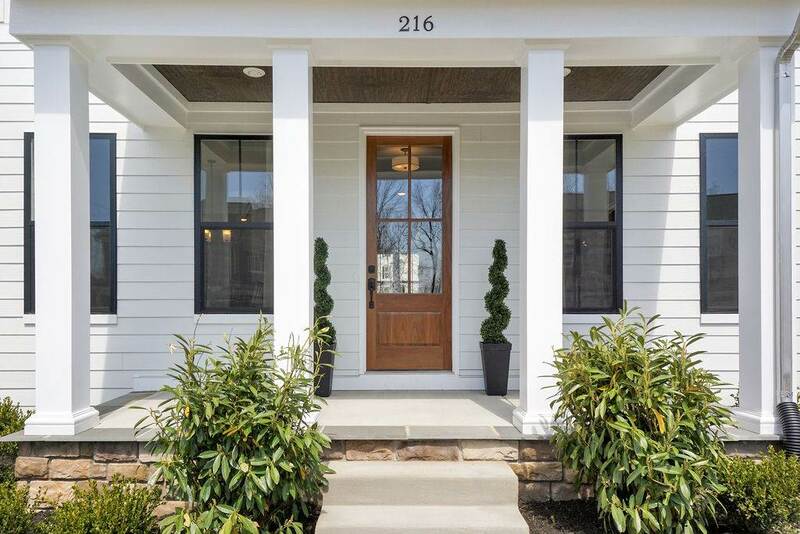 Settle in to this Modern Farmhouse with enough room for everyone you love. 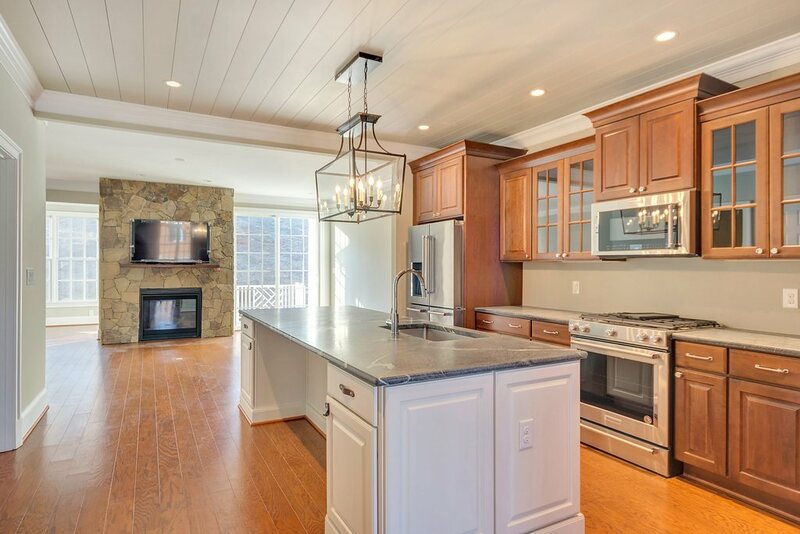 Make memories as you entertain in the Gourmet Kitchen that opens up to a spacious Family Room. Sit down with family in the Formal Dining Room for a home cooked meal or catch up on a favorite book in the library. Green living features throughout for greater comfort and savings on utilities. FINAL OPPORTUNITY! Actual Photos. To be built by Craig Builders in Old Trail Village. Panoramic mountain views overlooking both Old Trail Golf Course and Upper Ballard Pond, this beautiful 1/4 acre homesite is the perfect setting for your newly built home.This craftsman inspired home features 4 bedrooms with en suite bathrooms in addition to a bonus bedroom/rec room. 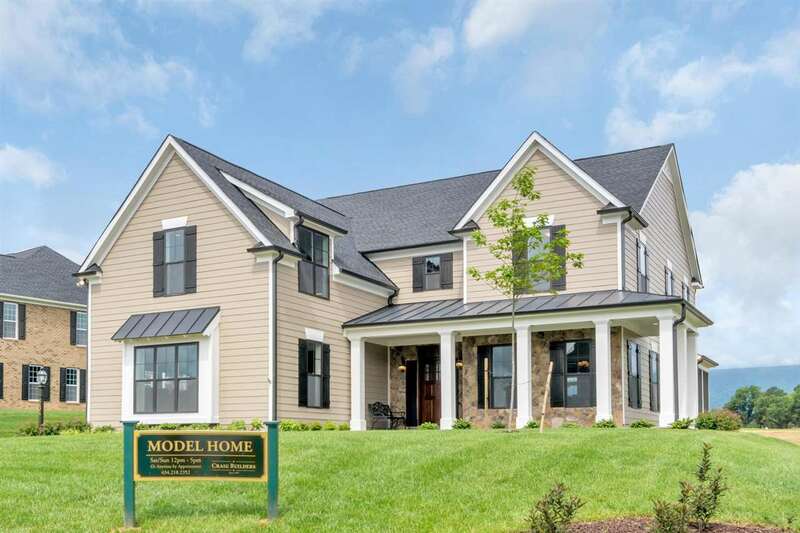 This brand new home includes many design features desired by today\'s homeowner such as an oversized garage, walk-in closets, walk-thru shower, large mud room, walk-in pantry, and outdoor patio. Quality built with 2x6 exterior walls along with HERS tested energy efficient building methods. Model Home available for tour. Homesite 13 at Old Trail Golf Club will feature an oversized front loading garage. Model home available for purchase with delayed occupancy. 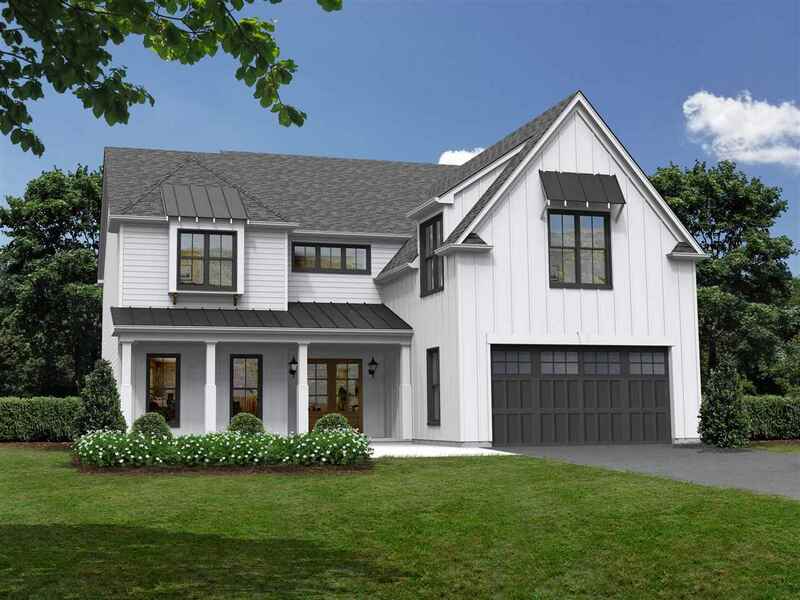 This farmhouse and craftsman inspired home features 4 bedrooms with en suite bathrooms in addition to a bonus bedroom/rec room with a full wet bar. Situated on a corner homesite with mountain views, this brand new home includes many design features desired by today\'s homeowner such as an oversized side loading garage, screened porch, dual walk-in closets, barn doors, walk-thru shower, two laundry/mud rooms, stone fireplace with built-ins, walk-in pantry, and outdoor patio with fire pit. Quality built with 2x6 exterior walls along with HERS tested energy efficient building methods.